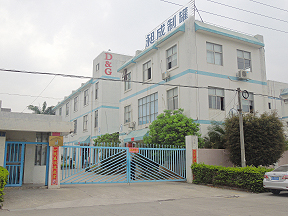 About Us-Dongguan Changcheng Cans Co., Ltd. Welcome to Chang into canning Co., Ltd.
1. Electronic Part Packing: battery tin, bluetooth earphone, cell phone, U disk, CD/DVD. 2. Food Packing: cookie, biscuit, candy, chocolate, coffee, health care product. 3. Gift Packing: tea, wine, cigarette. 4. Other Use: coin, pen/pencil, watch, cosmetic, tin tray, tin bucket, tin badge. We have more than 30 technicians for technical work and mould development and more than 300 sets of equipment which guarantees our high quality products. As a professional manufacturer, we can design any sizes and shapes according to customers' requirements. We have our own professional quality control team to implement our production policy, which ensures our high quality and punctual delivery. "High quality, Competitive price and Fantastic service" is our tenet. We sincerely hope to establish long-term business relationship with worldwide customers on the basis of equality and mutual benefits.